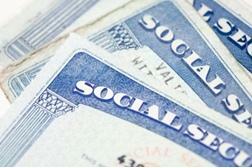 Social Security is a vital component of the American safety net. Without Social Security many retired and disabled workers –as well as survivors and dependents – would be without a source of steady income. However, Social Security is on an unsustainable path (the debt of the nation is on a similar path). Based on projections by the Congressional Budget Office and various think tanks, the ratio of debt to gross domestic product (GDP) will exceed 100 percent. It is now at 74 percent, the highest since the end of WW II. The fund is currently in surplus. In fact, the Social Security Trust Fund has been loaning its surplus to the general fund, with an agreement to retrieve these loans with interest when current Social Security expenditures exceed current revenues. Social Security is not bankrupted nor will it ever be. But according to the “2014 Annual Report of Social Security Trustees” it will be depleted, including reclaiming all loan repayments, by the year 2033. Thereafter, recipients will only receive 77 percent of promised payments. Payments will decrease to 72 percent by 2088. Social Security is the largest cost center in the federal budget at $825 billion. It currently benefits 58 million people; however that number will increase to 90 million by 2045. No general fund revenue is used to support Social Security. Rather, this trust fund is funded by employee and employer contributions – 6.2 percent on wages up to $118,500. The insolvency of the trust fund is a function of the increase in life expectancy, decline in fertility rates and the lower ratio of paying workers to retirees. Fifty-three percent of aged couples and 74 percent of unmarried individuals depend on Social Security for more than 50 percent of their income. The benefits are very modest – the average payment being $1,234 per month. So, what can we do? There are basically three options: increase taxes, reduce benefits or privatize the system. Some argue for a gradual increase of the existing 6.2 percent rate by 2 percent over a period of 20 years and a reduction of the annual cost of living (COLA) on the basis that senior needs are less than those in the workforce. Others suggest reducing costs by increasing the retirement age to 70 and reducing the monthly payment formula. Another option is to privatize the system. Beneficiaries would move from the current ‘defined benefit’ model to a system where, over a period of time, new beneficiaries and those over a certain age are moved to system of private accounts. Under such a system, the majority of the 12.4 percent of wages would be invested in mutual funds specifically designed for Social Security and administered by the Social Security Administration. This system could be phased in gradually with multiple generations sharing the transitions costs. The privatization approach is not new. It was proposed by President George W. Bush in 2005. However, his approach was much riskier in design and execution and was completely removed from Social Security design and administration in favor of Wall Street. A recent report issued by the Urban Institute compared lifetime benefits received in the current system to benefits that would have been achieved if invested in the Standard & Poor’s index. The results were mixed and depended upon the status of the individual, salary earned and willingness to assume risk. Overall, the results were generally favorable. This option is not without merit and could be designed and executed to provide a meaningful option. I suggest an approach that would eliminate the taxable maximum. Instead of taxing only the first $118,500 (plus increases based on COLA), individuals would pay on their full salary. For example, an individual earning $750,000 would pay the Social Security rate on the full salary rather than $118,500. This approach would solve the Social Security dilemma, support the system for the next 75 years and significantly reduce the projected debt. While a carefully crafted privatization plan might be the best approach, it is too politically charged. It would also be opposed by groups concerned with the impact on lower income folks. The ‘TAXMAX’ approach would solve the dilemma in a fair manner and guarantee payments to all citizens, particularly seniors most in need. Moreover, the Social Security funding dilemma would be removed from the national fiscal crisis agenda. In doing so, federal budgetary decision-making would be made simpler and attention would be focused on containing future health care costs and reforming national tax policy. Author: Richard F. Keevey is a senior policy fellow at the Bloustein School of Planning and Policy, Rutgers University and a visiting professor at the Woodrow Wilson School, Princeton University. He was the state office of management and budget director for two New Jersey governors. Keevy also held presidential appointments as the chief financial officer at the U.S. Department of Housing and Urban Development and the Deputy Undersecretary of Defense at the Department of Defense.